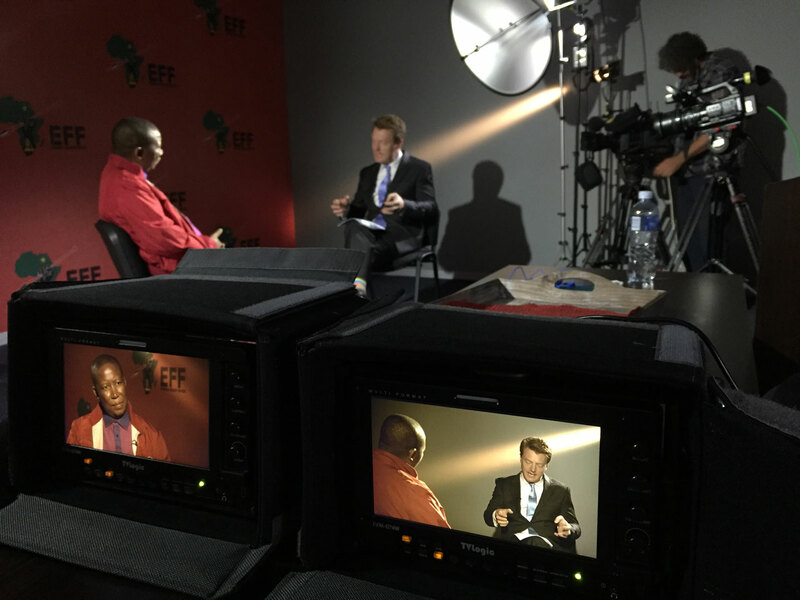 South Africa: Malema to Al Jazeera - "We will run out of patience very soon and we will remove this government through the barrel of a gun." Malema is the commander-in-chief of the Economic Freedom Fighters (EFF), an opposition party he founded in 2013 after being expelled from the ANC, where he had served as president of the Youth League. The exchange began when Hull asked Malema how far he was willing to go in his “war” against President Jacob Zuma and reminded him of his 2014 threat to make the entire Gauteng province ungovernable. "'We will fight,' you said. ‘We have the capability to mobilise our people and fight physically,” Hull said. “That's not befitting of a government in waiting, is it?" "We know for a fact that Gauteng ANC rigged elections here,” Malema replied. "We know for a fact that they lost Johannesburg and they lost Gauteng. But we still accepted it. But they must know that we are not going to do that this year. We are not going to accept. Part of the revolutionary duty is to fight and we are not ashamed if the need arise for us to take up arms and fight. We will fight. This regime must respond peacefully to our demands, must respond constitutionally to our demands. And if they are going to respond violently - like they did in the township of Alexandra, just outside Johannesburg, when people said these results do not reflect the outcome of our votes, they sent the army to go and intimidate our people - we are not going to stand back. Zuma is not going to use the army to intimidate us. We are not scared of the army. We are not scared to fight. We will fight." "Yeah, literally. I mean it literally. We are not scared. We are not going to have a government that disrespects us." "And on what basis, under which circumstances?" Earlier, Malema had denied that Zuma was his primary concern. “We are not waged in a war against Zuma and the ANC. We are waging a war against white monopoly capital. Zuma is not our enemy. The ANC is not our enemy. They are standing in our way to crushing white monopoly capital, which has stolen our land, which controls the wealth of our country. As we are in the process of crushing the white monopoly capital, there will be some of those irritations that we have to deal with. Zuma represents such an irritation; the ANC represents such an irritation." South Africa is holding municipal elections in August 2016.